Below our complete range of HF-VHF-UHF-SHF base antennas of the various brands for (semi-)professional, marine and amateur purposes . New: Now with integrated product filter! Choose your base antenna quick and easy with the filter below. 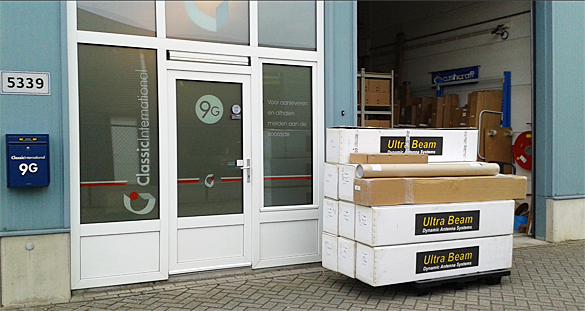 April UltraBeam shipment arrived in our warehouse. Filter Brand UltraBeam for detailed information.